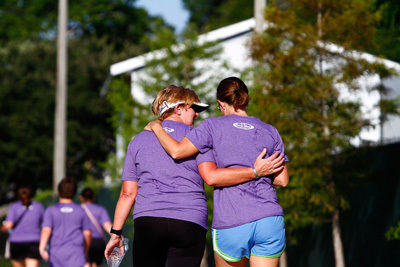 Competition, sportsmanship, cooperation, and creating healthy lives: That’s what Track Shack is all about, and that’s why we love the IOA Corporate 5k. Every April thousands upon thousands of local businesses and their employees get together in downtown Orlando to celebrate corporate fitness! Every year we hear stories from participants about what the Corporate 5k has done for their organization’s health, culture, and what a great changes people have made as part of the process! To make all of this possible within each organization that comes out to compete, improve, and party there is some serious in-house work – and that is all done by Team Captains. These guys and gals are the heart and soul of the Corporate 5k because they gently (or maybe not so gently) invite and encourage their co-workers to step out and do the IOA Corporate 5k. Because of all of the hard work put forth by team captains, we’re throwing these coaches/chief fitness officers the best Team Captains Party we’ve ever!! And it’s all happening Tuesday, January 28. Go to our Facebook page to get all the information, and send your co-workers to the IOA Corporate 5k website to get your team registered and ready to run! Thanks to TD Bank’s investment in fitness (and fun! ), and ALOFT in downtown Orlando providing us with the party spot, you can count on great networking, Michelob Ultra at happy hour, and great swag in one of the hottest new venue in downtown Orlando!